Kings Dominion’s Intimidator 305 to reopen today! Kings Dominion has announced their newest speed machine, Intimidator 305, will reopen to the public today. 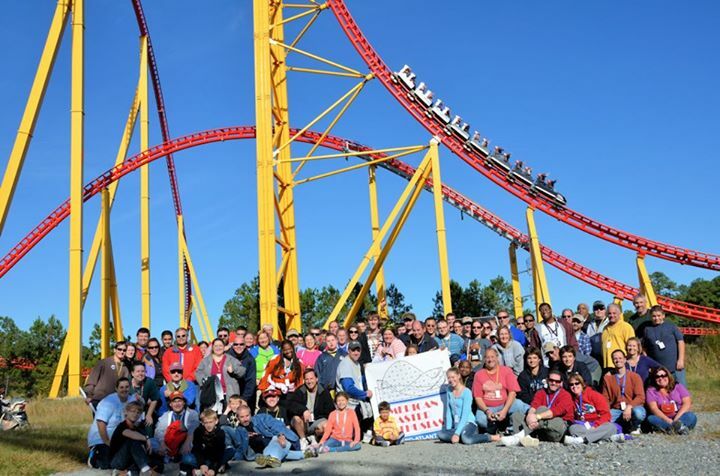 American Coaster Enthusiasts (ACE) pause for a group photo in front of Intimidator 305 at Kings Dominion while on a backstage tour.